AKIPRESS.COM - Two of the most renowned groups from the 1990s will perform under one roof soon. London Beat and La Bouche will bring the 90’s back to life with their iconic singles, which topped international music charts, according to GoGo Mongolia. They will perform “90’s PoP Legends London Beat & La Bouche” show for their fans on November 3 at Ulaanbaatar Palace concert-hall and “La Bouche London Beat with Disco Night” on November 4 at the Crocus Event Hall. 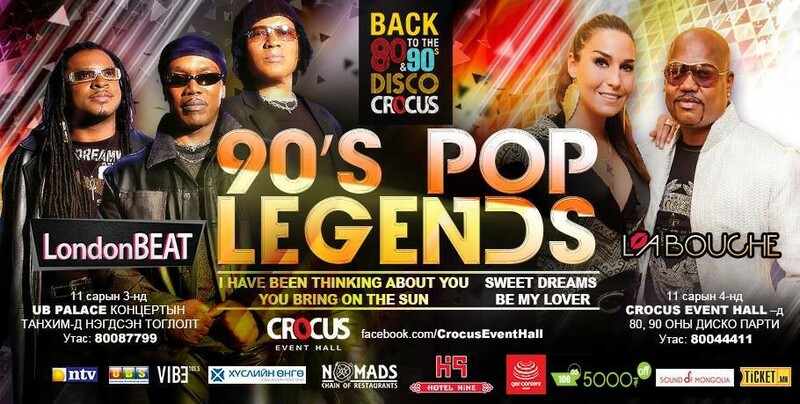 The Crocus Event Hall, Mongolian biggest show event center, decided to organize the 8th project for youth of 80 and 90s. Previously, they organized seven entertainments under program “Back to the 80-90 Disco Crocus”.